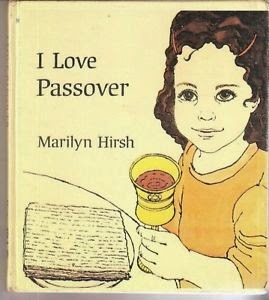 I came across a wonderful book by Marilyn Hirsh called I Love Passover. The story of Pesach is told through the eyes of a young child, who experiences the wonders of the home-based rituals of the Seder and starts to understand the extraordinary history of faith, courage and miracles. This is an older book (not that old but published in 1985) and is out of print, but copies can be easily found online. While I was reading it to 1st and 2nd graders, the children were very engaged, sharing the rituals they knew about. 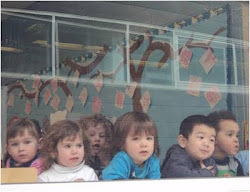 I was thrilled to see how much our Akiba-Schechter students already know about Passover. 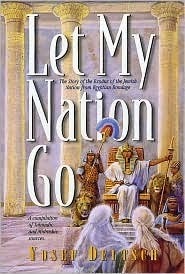 Let My Nation Go by Yosef Deutsch is the story of Passover written as a novel. With a myriad of sources woven in, it brings the story of the Exodus to life. Deutsch keeps the story moving and exciting without compromising on details, and the reader ends up with an enriched understanding of Passover as the Jewish people begin their journey as a nation. There is a "companion" volume, Let My Nation Live, that tells the story of Purim as a novel, and we know for sure one of our 8th graders recently had his nose buried in that book every night.